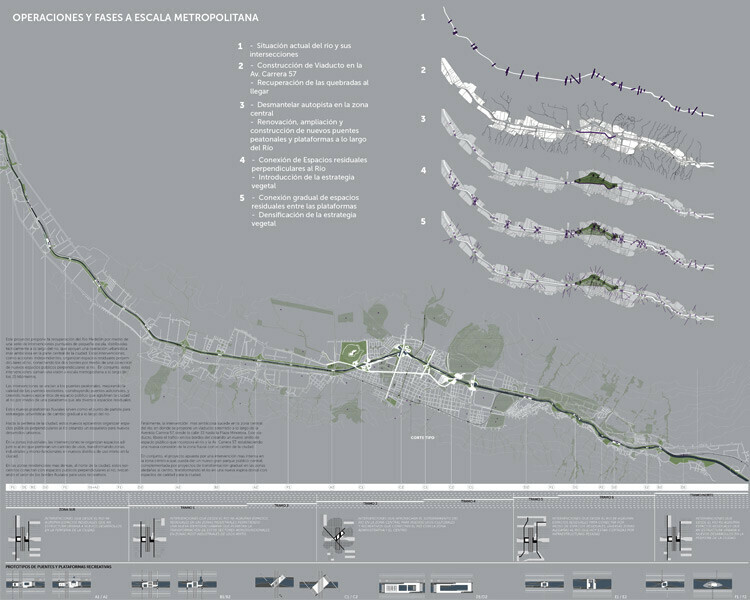 This project proposes the gradual transformation of the Medellin River through the accretion of small scale urban interventions distributed throughout the 25 kilometers of the city’s river edge. 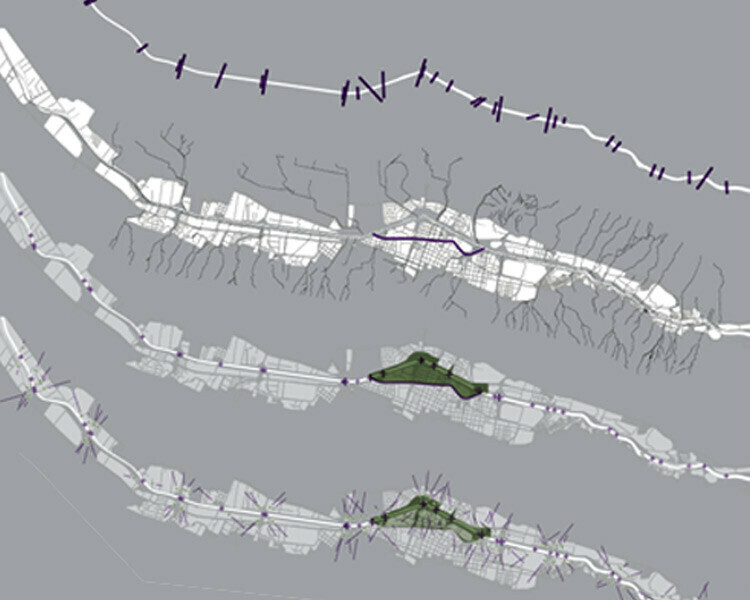 A careful study of the river’s morphology in relation to the urban edge singles out the key connection points along both sides of the river. 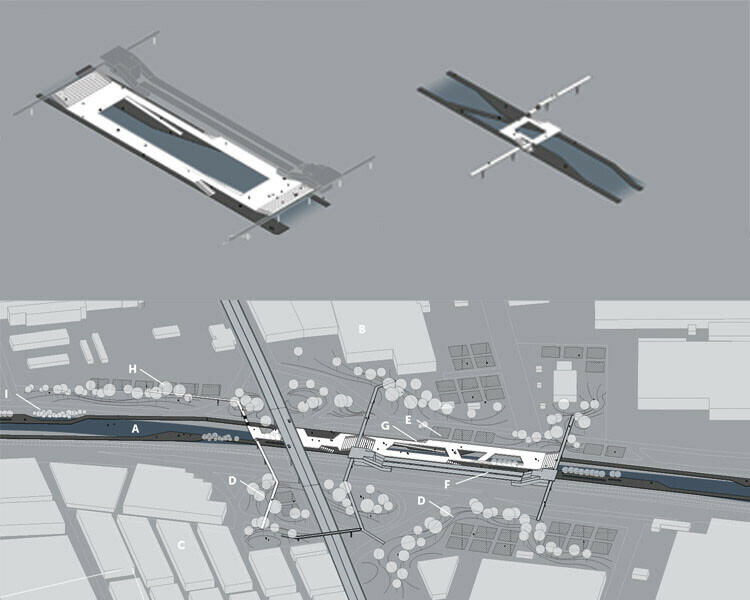 These interventions, conceived as independent actions, organize residual spaces adjacent to the river connecting the two edges of the river through a series of collective spaces. 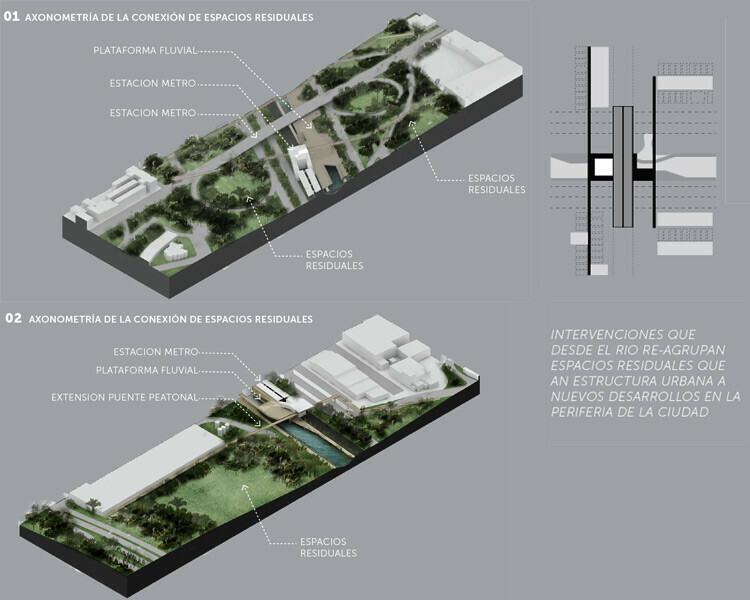 These spaces add a new spatial identity to the already rich network of urban bridges that cross the city. 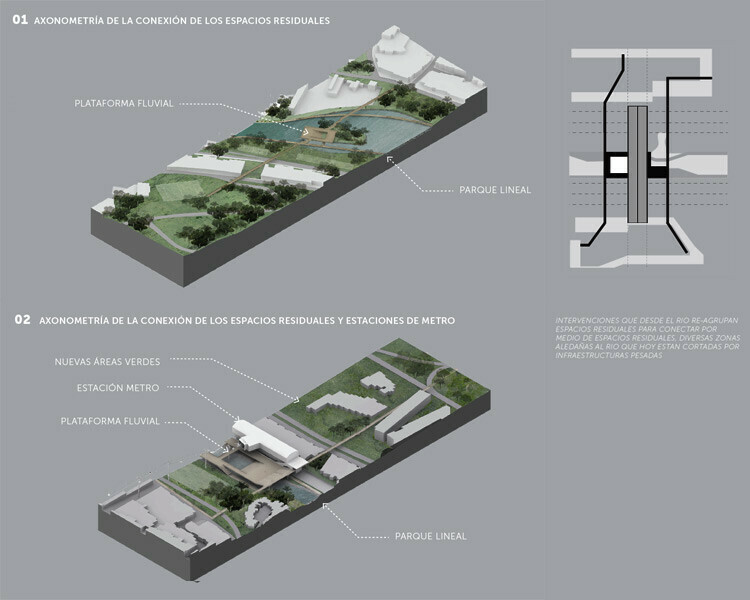 Through this process a series of residual spaces scattered throughout the city are given value in relation to the city and the river. 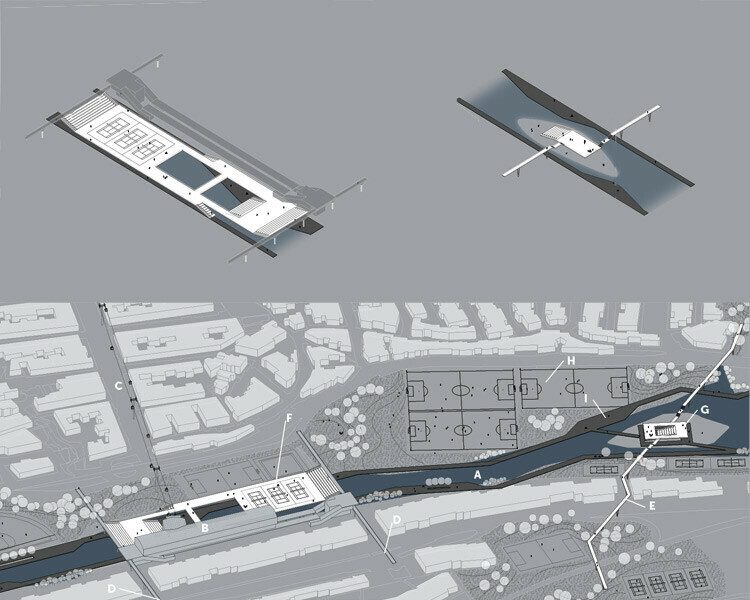 The interventions are anchored by existing or proposed bridges that create a new epicenter of activities at the confluence of river and city, while also retrofitting a new storm water management that can help improve the quality of water in the river. Together, these interventions add up to a larger metropolitan vision.